Coverage stretches from Penge station eastward to Beckenham Junction station, and southward to Clock House station. The town centre of Beckenham is therefore in the lower right corner of this map. 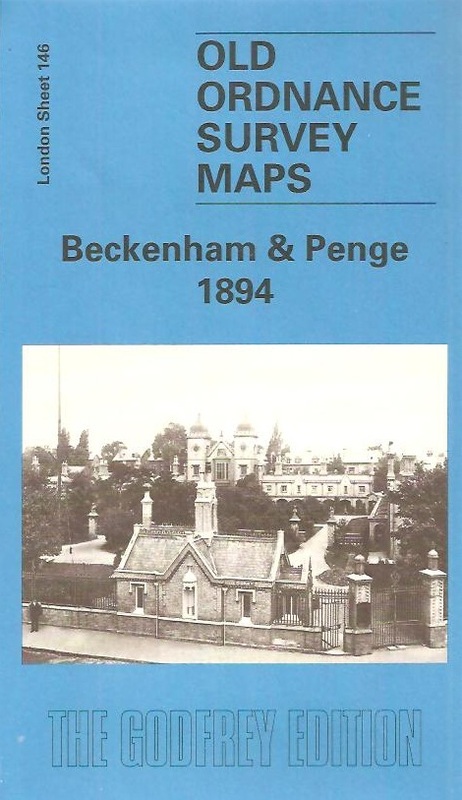 By 1894 Beckenham had grown into a town and this map is much more built up than the 1861 version. Features include the railway layout, with Kent House and New Beckenham stations, the eastern part of Penge, Kent House Farm, St George's church, St Paul's church, Holy Trinity, St John's Penge church, the Royal Asylum almshouses at Penge. Streets include part of Beckenham High St, Coperscope Road, Lennard Road, Ravenscroft Road, Parish Lane, Beckenham Road and many more.